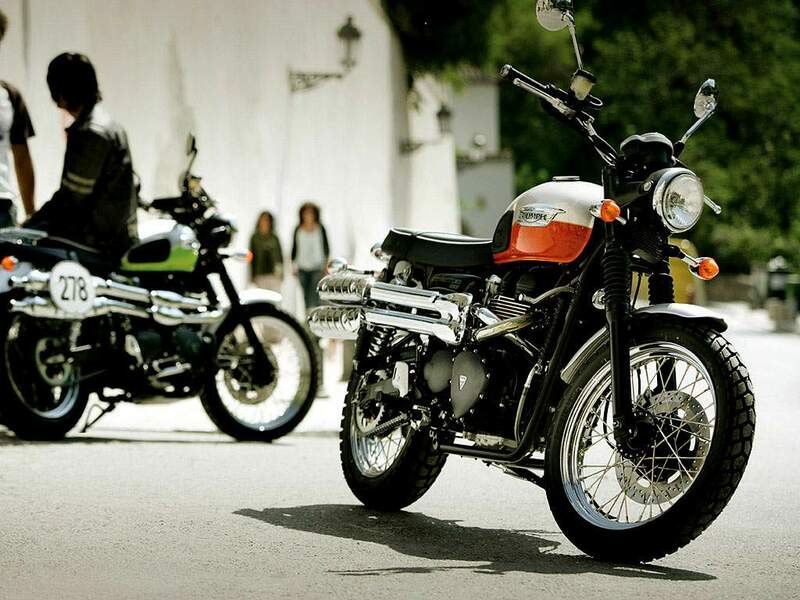 The Scrambler represents a fresh take on the iconic bikes from Triumph’s past. 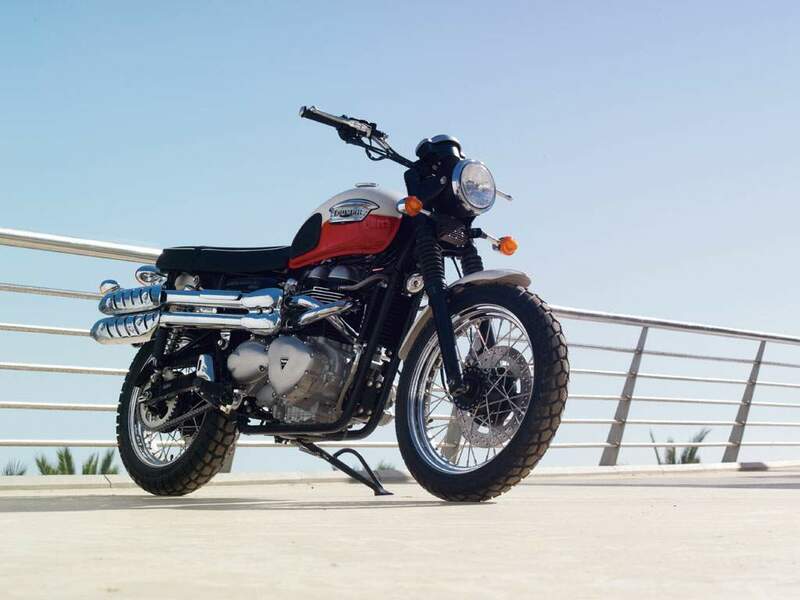 Combining inspiration from the relaxed culture and laid back attitude of sunny California with the chic approach of Southern Europeans, the Scrambler redefines the off-road machines made famous by 60’s thrill seekers such as Steve McQueen and places many elements of their robust, dual purpose style into a contemporary urban context. The authentic styling of the Scrambler is what makes the motorcycle so unique, yet the technology is as modern as it can be. The Modern Classics Range - Bikes that reflect the original freedom and fun of biking. Beautifully engineered and meticulously detailed - they’re the real thing. Powered by authentic air-cooled parallel twins, their performance, handling, brakes and fuel injection are bang up to date. And the look? - that’s genuinely classic. 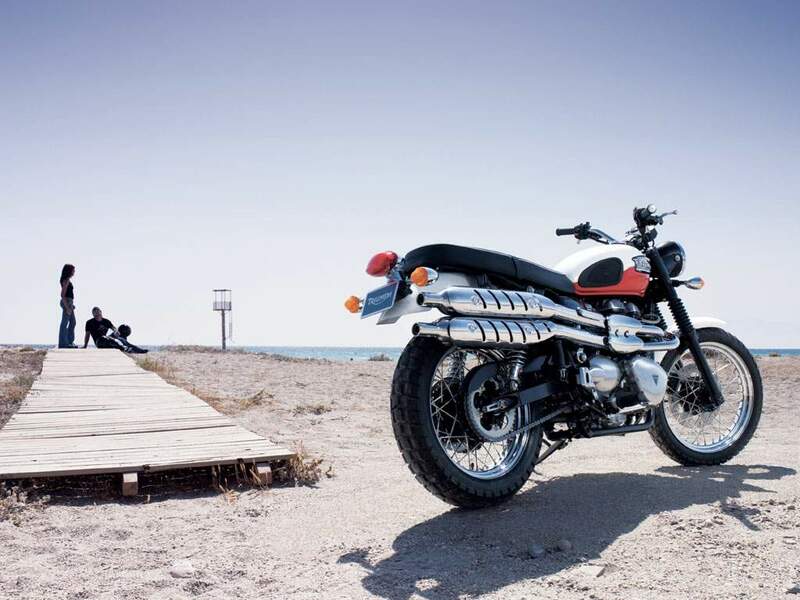 The Scrambler’s air-cooled, parallel twin cylinder engine offers a cubic capacity of 865cc for excellent midrange torque. Both pistons rise and fall together via a 360° crankshaft firing interval so the classic character of a British twin-cylinder engine is retained, whilst twin balancer shafts provide civility and refinement. 90% of peak torque is maintained from around 2500rpm through to redline providing smooth, effortless acceleration throughout the five gears. The spoked wheels are sized 19 x 2.5in (front) and 17 x 3.5in (rear), both wearing lightly-knobbled tires in sizes 100/90-19 and 130/80-17. The Scrambler features a dual colored tank, with hand painted coach lines, rubber knee pads and retro styled, chromed tank badges.